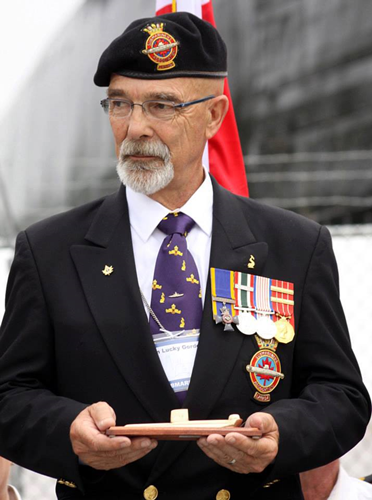 From Able Seaman on HMCS Ojibwa's Commissioning Crew in 1965 until his retirement in 1997 as Fleet Chief Petty Officer, Maritime Forces Atlantic – the senior NCO in Canada's Atlantic navy, Jim 'Lucky' Gordon took the sea to heart and lived the life to the fullest. Highly respected as a Chief, he was and is also a gifted story teller. He has generously contributed both 'dits' and humorous explanations about the life of a submariner to our website. Always, just under the surface, his dedication to standing on guard shines through - the Silent Service is serious business. The following introduction to Cold War Operations outlines the task; the stories are for later - except the ones than can never be revealed. Tasked with an underwater look in open waters we would move stealthily under soviet warships close enough to photograph their hulls and underwater equipment through our periscopes, again, without being detected or, above all, rammed by them. (There is a story about getting rammed by a ship doing this. But that story is for another time). 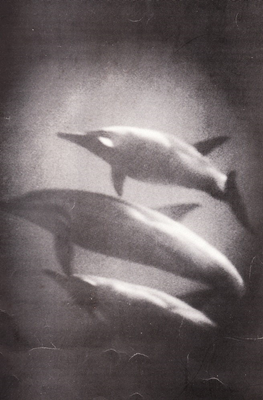 A photograph of dolphins and small fish taken through the periscope on a submarine. During an underwater look eyes would glance upward as if they could penetrate the pressure hull and see the heavy Soviet Warship’s hull cutting through the water mere yards above. 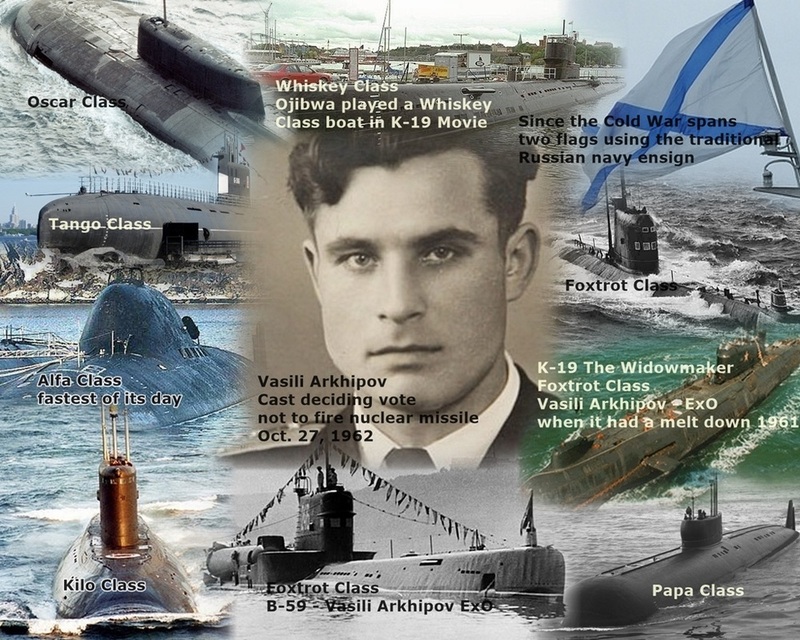 There was always some breath taking anticipation for the sudden crash, screech of metal on metal and violent shaking as the bow of the target vessel made contact with the submarine and brutally rolled it on its’ side. Then as her huge bronze propeller blades ripped through the pressure hull the entire submarine would shudder in tempo with the turning screw. The lighting would flash off and on and finally go from brown to black as sea water rushed in to smoother all the life that had just been so highly charged. But in the end, audible exhalations would be heard throughout the boat as it gently heeled slightly to port and then silently assumed the down angle that would lead them, like a ghost, to the sanctuary of depth. Mission accomplished. It was exhilarating. Then there are the memorable events of the ‘sneaky‘era -the post op wind down runs upon returning to port. We often called on a remote location or secure military base where we could be watched and controlled and not embarrass our Navy or our country. The common objective for these post operational visits was to unwind. 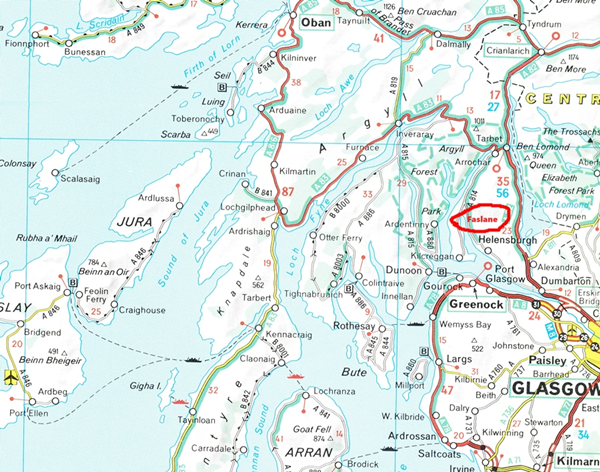 For instance, Faslane, the submarine base in Scotland, had a cinder block room with a bar. Nothing much to break; but, beverage sufficient for effect. Now, that’s all about coming back down to earth, or up to the surface in our case. There are many amusing stories made of those mind bending occasions. So, more to come!